TMJ disorders can be a chronic source of pain in your jaw, making it difficult to eat, speak, or generally enjoy life. Dentist Linda Huang, DDS, at Halls Family Dentistry in Knoxville, Tennessee, can diagnose and treat your TMJ disorder so you can go back to smiling and chewing with ease. 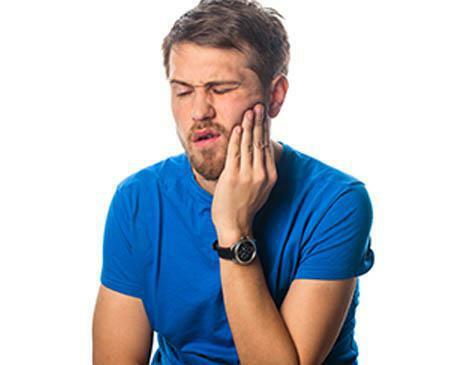 If you suspect you may have a TMJ disorder, call Halls Family Dentistry or book an appointment online today. TMJ stands for temporomandibular joint. You have one of these joints on each side of your head, where your jaw bone connects to your skull. Many people refer to pain in the temporomandibular joint as TMJ, but you may also hear the term TMD, which stands for temporomandibular disorder. TMJ/TMD may cause intense pain and discomfort on one or both sides of your jaw. The exact cause of TMJ pain is unknown, but it involves some dysfunction in the muscles of your jaw or the joint itself. Anyone can get TMJ pain, but it’s more likely to affect women than men. How does a dentist diagnose and treat TMJ pain? Dr. Linda understands how much chronic pain can interfere with your life and works with you to find the most effective way to relieve your TMJ pain. To diagnose TMD, Dr. Linda may listen to, feel, and observe your jaw movements during an exam. If you do have TMD, she discusses the best treatment options for you. Some cases of TMD resolve on their own with home care and over-the-counter medicines. If your TMD is severe, Dr. Linda may recommend you wear a dental appliance to realign your bite. If you want relief from TMJ pain, call Halls Family Dentistry.